Areas Supplied: Entrance and Circulation floors. 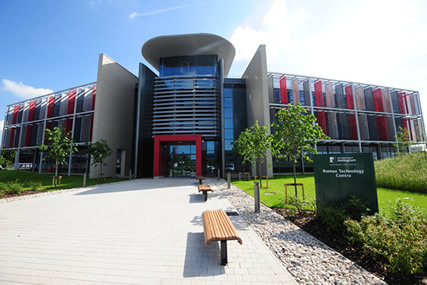 This commercial HQ for Romax, a leading gearbox, driveline and bearing engineering firm is located on University of Nottingham Innovation Park (UNIP). The new building will house laboratories, offices and a training suite and the floor tiling, including shod foot slip resistant tiles were supplied by the team here at Spectile.